Description:These premises were near to the bus station. 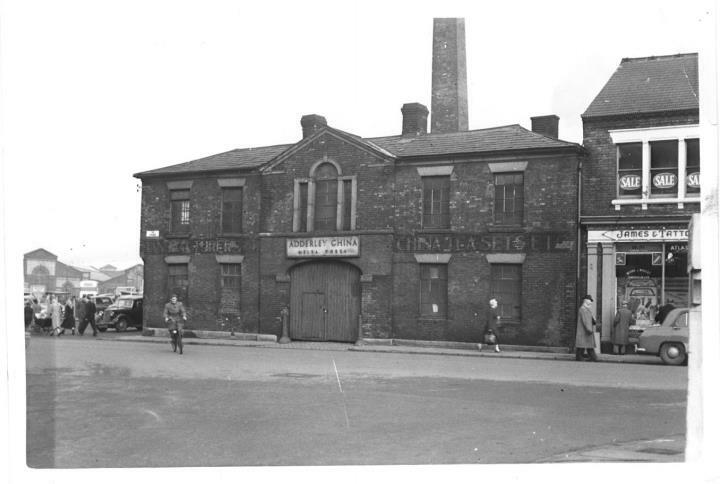 William A. Adderley operated the Daisy Bank Pottery in Longton, Stoke-on-Trent producing China and Earthenware. After 1905 they traded as Adderleys Ltd. The company was taken over by Ridgway Potteries Ltd in 1947.